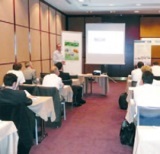 This course is built around presentations, demonstrations and exercises. The goal is to allow the new user to gain confidence in the software and to use it efficiently with respect to his/her specific process. Get started with QuikCAST, a complete industrial solution for foundries, including filling and solidification, phase change and cooling of mold geometries.